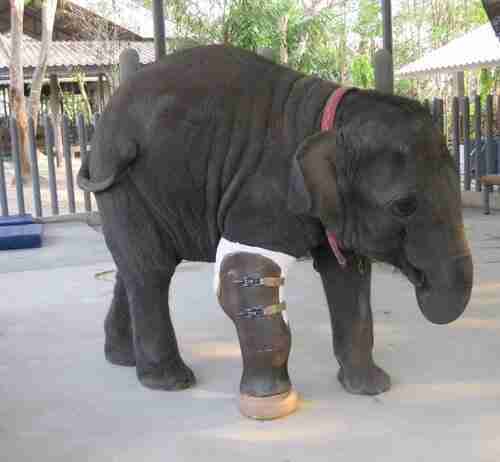 When Mosha the elephant was just 7 months old, tragedy struck - a landmine explosion claimed her right foreleg. 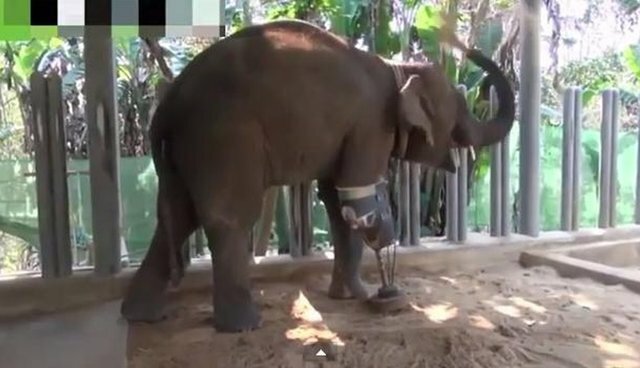 Luckily, she was saved by Friends of the Asian Elephant Hospital, a rescue center in Thailand that bills itself as the oldest elephant hospital in the world. 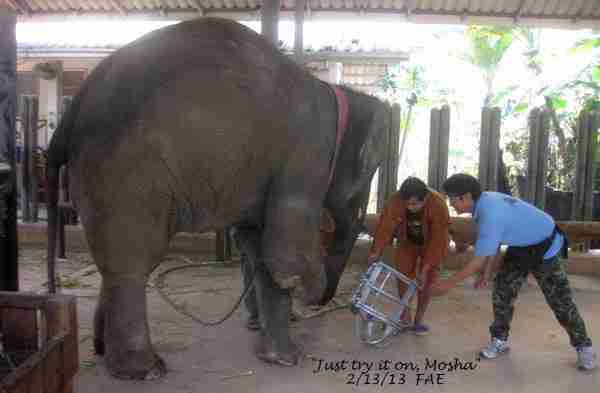 Mosha has been outfitted with prosthetic legs since 2008, a couple of years after she was rescued from the wild near the Thailand-Myanmar border. Therdchai Jivacate, a doctor who specializes in human amputations, attributes her survival to her prostheses. "When she cannot walk, she is going to die," he told the Daily Telegraph in 2009. Elephants aren't the only ones getting help from prosthetics - check out this pup running again thanks to new 3D-printed limbs.